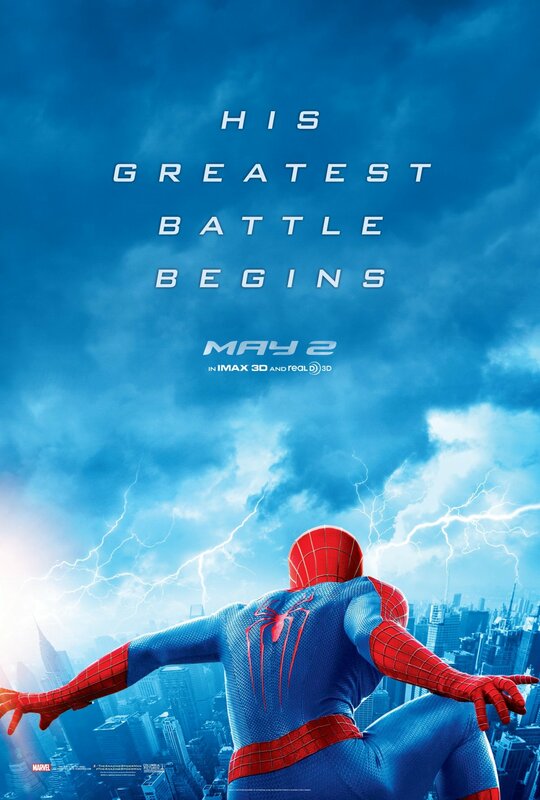 When the Amazing Spider-Man came out in 2012, the Amazing Spider-Man 2 had already been announced. More than that, the film was already several months into development. This behind-the-scenes action translated into in-film foreshadowing. The Amazing Spider-Man featured several dangling plot threads, including the shadow-y operations of OsCorp Industries and the mysterious fate of Peter Parker’s parents. Well, when doing a sequel: everything must get bigger. The Amazing Spider-Man 2 returns to the story of Peter Parker (a.k.a. – spoiler alert – the Amazing Spider-Man) and, sadly, escalates the amount of unknown. Something big is coming for Peter Parker, as even the tagline stated: “his greatest battle begins.” Unfortunately, anyone hoping to see that “greatest battle” resolved will have to buy another ticket… or two… or three. Look to be fair, never says that it’s going to end. Yes, there isn’t a whole lot of character resolution that takes place in the Amazing Spider-Man 2. The script is invaded by characters and scenes dedicated to setting up what Sony seems to think could be their own version of the Avengers: the Sinister Six. This is a bold move by the company, who feels that the Sinister Six is a billion-dollar blockbuster idea. Personally, I am not sure where this confidence is coming from. I do not believe that anyone, ANYONE out there is screaming for a Sinister Six movie. 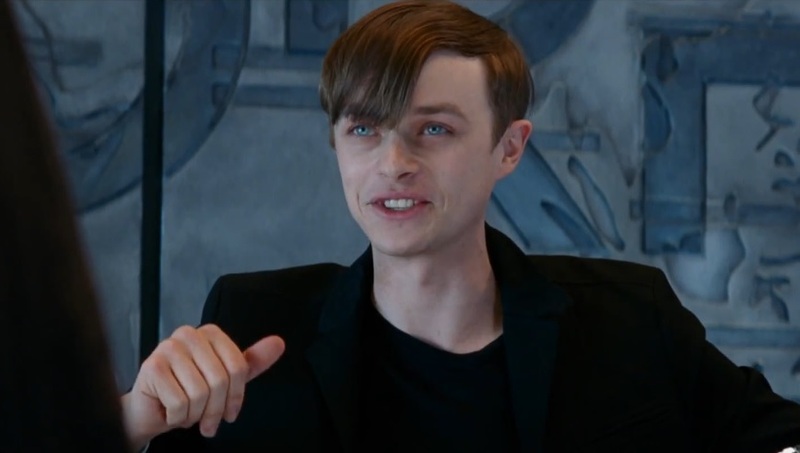 So it will be a tough sell, good thing the Amazing Spider-Man 2 made Harry Osborn into such a compelling character… wait. The Avengers was able to succeed largely in thanks to its set up films. Iron Man, The Incredible Hulk, Thor, Captain America, and Iron Man 2 all set up the characters and the story for the epic crossover. The Sinister Six will not have this luxury. 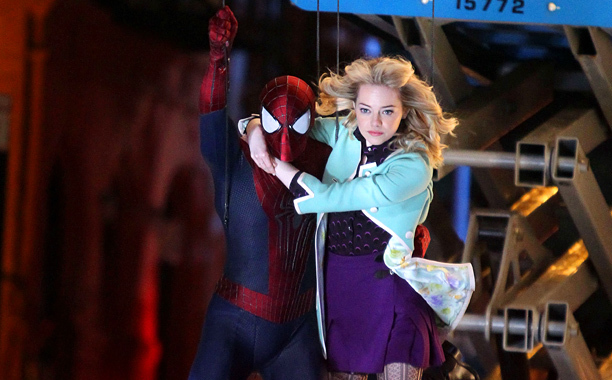 It has received the only set-up film it will receive: the Amazing Spider-Man 2. The problem is that the set-up was not done well. For those reading who have not seen the Amazing Spider-Man 2: the following will spoil the movie. The Amazing Spider-Man 2 is (too) full of new characters. One of them is Harry Osborn. Anyone who has seen the Sam Raimi trilogy of Spider-Man movies already knows who this is: childhood friend of Peter Parker and future Green Goblin. 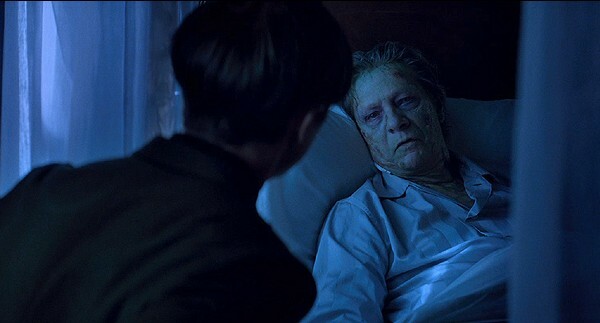 Harry enters the movie only to learn that he is dying of the same disease that killed his father, Norman Osborn (not a Green Goblin in this universe). While Norman’s disease took sixty years to kill him, Harry’s is acting faster… I think. The movie never has time to tell us this, Harry simply starts acting like he only has days left to live. So either Harry is the most impatient man alive (removing all possibility of sympathy in his fall) or there is information that the audience does not know… or maybe the screenwriters forgot about. While Norman’s scene introduces the danger of the disease, it does nothing to create a sense of urgency. He’s not super old, but he’s not young either. Really they just wanted a scene with Chris Cooper. Anyway, Harry goes kind of insane trying to keep himself alive. He frees Electro (another insane villain, guess what his power is?) to help access the secret super spider VENOM (yes, there is another movie coming) to stop his disease and save his life. How does something called Venom help save lives… good question. Just go with it. Of course, Harry doesn’t know that the Venom is coded to Parker DNA (keep going with it), meaning that the wonderful things that happened to Spider-Man aren’t going to happen to him. Instead, the Venom heals Harry but turns him into a physical goblin… I’m not kidding. His hair spikes out, his teeth become fangs, his ears get pointy, and his nose goes crooked. This is the most dramatic drug ever created apparently. Harry staggers into the remarkably close Goblin armor (OsCorp believes in keeping all of its most villainous creations within arm’s reach of one another – the better to foreshadow with), somehow knows how to work it, and flies off to battle Spider-Man. Problem: All of this transformation happens in the last forty minutes of the movie while Jamie Foxx’s Electro is terrorizing the city, Peter and Gwen are salvaging their relationship, Aunt May is trying to keep people alive at a hospital, and an airport is trying to stop two planes from colliding… there is TOO MUCH going on in this movie. The result is that an iconic sequence from the Spider-Man universe, the death of Gwen Stacy, feels like a tacked on afterthought instead of the film’s climax. Everything is naturally building toward Spider-Man’s battle with Electro (which looks very cool in IMAX by the way – the film does succeed at being a spectacle). 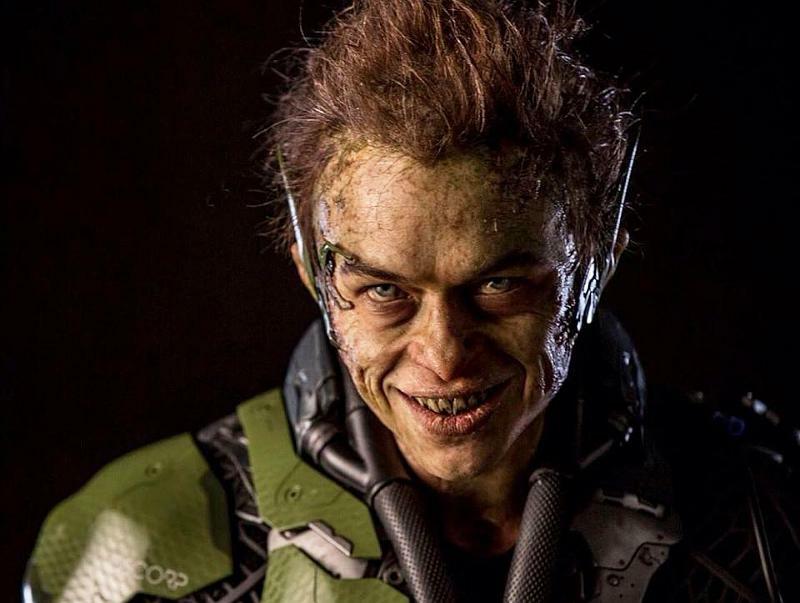 When the Green Goblin arrives (seconds) after Electro is defeated, it just feels dragged out. Poor Spidey can’t catch a break. Defeat one villain and the next just kills his girlfriend. There is NO emotional fallout from this, by the way. 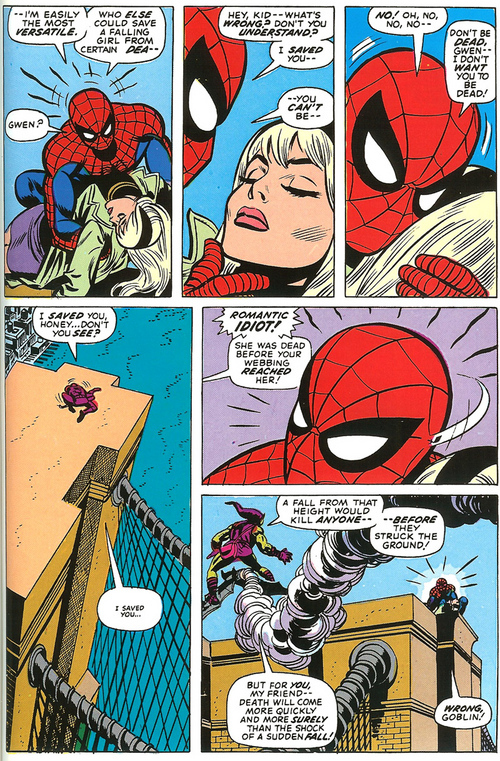 The death of Gwen Stacy is one of the most emotional moments in superhero comics. Note: the comic’s dialogue is better than the film’s. Sure, Peter Parker cries but that’s it. No confrontation with Harry follows, no explanation for Harry’s motivations (beyond boring insanity) provided. Considering how the bulk of the film has centered on Peter’s relationships (Gwen and, to a lesser extent, Harry), this is a major letdown. I read that some of this lackluster ending is due to ratings concerns and that initially, Peter and Harry were going to have a very brutal confrontation after the murder of Gwen Stacy. It is unfortunate that box office demands (PG-13 is always more profitable than R) holds back the story. So, what happens to Harry? As I already said, there is no resolution with Peter. I would imagine they’re probably not besties anymore so there’s that. Harry is locked up, only to be visited by someone looking to help him recruit others for, you guessed it, the Sinister Six. No, let’s not devote time to Peter grieving for Gwen: Emma Stone isn’t as valuable as blockbuster dollars. Seems kind of strange to build a team around a crazy person (especially one so generically insane) but that is Sony’s plan. They better hope that they have a cast with some big names because Dane DeHaan is not nearly as big a draw as say Robert Downey Jr.
Love him or hate him, Dane Dehaan is currently not an A-list actor. Films can lead into other films. Movies like Thor and Iron Man do it well. They contain teasers but don’t sacrifice their own story for them. The Amazing Spider-Man 2 plays much more like Iron Man 2: both films had tie-ins punch their way into the script, with all the subtly that implies. Sony better hope that they read the market right. The Sinister Six better be worth it. The screen chemistry between Andrew Garfield and Emma Stone was one of the highlights of the new movies. She will not be easy to replace.